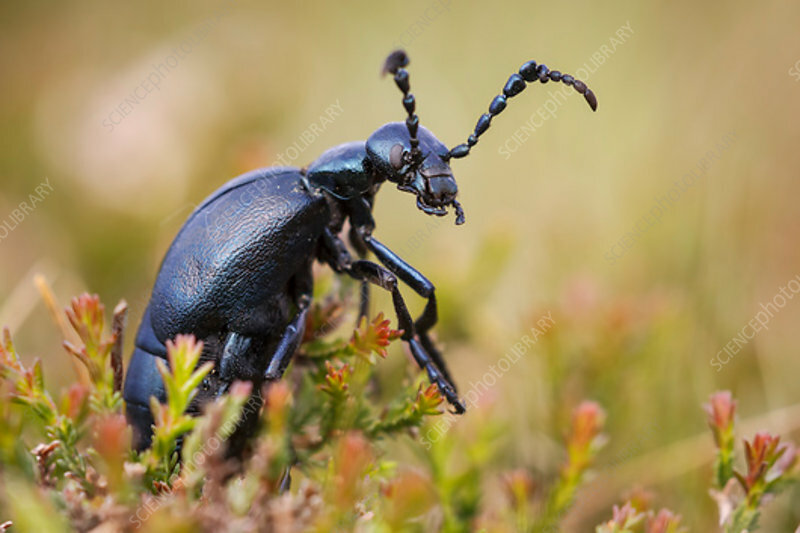 A close-up of an oil beetle (Meloe proscarabeus) clambering about in heather on a moorland habitat. Larvae of the oil beetle feed on pollen and nectar collected by ground nesting bees having hitched a ride with the bee from a flower to the bees nest. Photographed in Somerset, UK, in April.